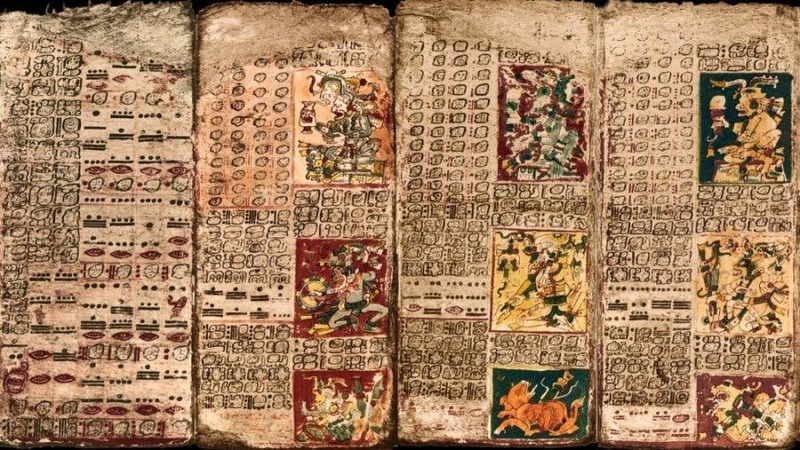 Anthropologists have shown that Mayan tablets of math and astronomy have been greatly underestimated and the civilization’s astronomical knowledge may have been significantly greater than we thought. Ever since the Venus Table of the Dresden Codex was discovered 120 years ago, scientists have appreciated its significance. The accuracy of astronomical observations, especially those regarding ‘leap years’ was impressive, and archaeologists wondered how the Mayan civilization developed such a keen sense for astronomy. But in a new article, UC Santa Barbara’s Gerardo Aldana, a professor of anthropology, found that the importance and finesse of the Venus Table may have been underestimated. Using a multidisciplinary approach which blends in archaeology, astronomy, linguistics and anthropology, Aldana was able to present a new interpretation of the Venus Table, which tracks the movement of the second planet from the Sun. He uncovered a surprising mathematical precision to the astronomical observations and predictions, likely developed at the city of Chich’en Itza during the Terminal Classic period (AD 800-1000). The calculations were likely done under the patronage of K’ak’ U Pakal K’awiil, one of the city’s most prominent historical figures. K’ak’ U Pakal K’awiil is the most widely mentioned personal name in the surviving Maya inscriptions at Chichen Itza, and also appears on monumental inscriptions at other Yucatán Peninsula sites such as Uxmal. He was likely a scientist or a scholar of the time. Intriguingly, their calendar wasn’t based on numerology, but rather on historical observations – but we don’t know exactly why. This carries a curious resemblance to the work of Nicolaus Copernicus, a Polish astronomer who lived 500 years after the Mayan civilization. When he was trying to predict the future dates of Easter, Copernicus found that the heliocentric model (the Sun at the center of the solar system) fits in much better mathematically. That’s what Aldana noticed in the Venus Table. We don’t know exactly who made this discovery, and we may never know. It could have been a singular figure or a group of astronomers, but whoever it was – the discovery was way ahead of its time.